Pasque Flowers! These Stunning Purple Flowers Announce Spring! Pasque Flowers, part of the buttercup family, are the first plant to bloom on the prairie. A true herald of spring in the badlands and grasslands of western North Dakota and eastern Montana (and South Dakota!) is the emergence of flowers! In particular, small purple flowers poke up. The arrival of Prairie Crocuses (Pasque Flowers or Pasqueflowers) means the soil is warming and daylight hours are getting longer. The shift from winter to spring has begun. Pasqueflowers Poking Through The Prairie Grasses in western North Dakota. Pasque Flower. Pasqueflower. Prairie Crocus. Easter Flower. Easter Bunny Flower. Known by many names, Pasque refers to the celebration of Easter. In fact, the word pasque is an old French spelling of Easter. The correct scientific name for these flowers is Pulsatilla vulgarisms, which derives from Latin and means ‘to sway in the wind’. They are sometimes referred to as Prairie Smoke, Goslinweed, Prairie Crocus, May Flower, or Easter Flower. Pasque Flowers are symbols not only of spring, but of longevity. They are the state flower of South Dakota, the Provincial flower of Manitoba, and the county flower of Oppland, Norway as well as of the Herfordshire and Cambridgeshire counties in England. Pasque Flowers are also the subject of many Native American songs and legends. Prairie Crocus seeds are self planting! They are shaped like spears and are covered with backward pointing hairs, which soak up water. As the plant dries and moves in the wind, the seeds are ‘pushed’ into the soil, thus becoming somewhat planted. This process is commonly found in prairie plants. Pasque Flowers (Anemone patens) are shaped like many early spring flowers. They are cupped, which translates into the sepals (we commonly think of them as petals) reflecting the energy of the sun during every daylight hour towards the center. The temperature there can be nearly 20F degrees warmer than the surrounding air. That aids the reproductive functions of the stamens and pistils. Pasque Flowers are highly toxic to humans. All parts of them are poison. Their ingestion can slow the heart, and lead to diarrhea, vomiting, and convulsions, even coma. At one point Native Americans used Pasque Flowers for medicinal purposes. In fact, Blackfoot Indians used them to induce abortions and childbirth. These plants should never be consumed by pregnant or lactating women. Extracts of the plant, however, have been used by herbalists in history as a sedative and for treating coughs. When the snow begins to melt, one of our first goals is to hike in the grasslands and badlands in search of Pasque Flowers. We’ve seen them on outcroppings in the middle of the badlands, and poking out of dead vegetation in the grasslands, long before green is prevalent, and very often when snow is still on the ground. Where have you discovered Prairie Crocuses? The search for spring Pasqueflowers is a tradition with many people. The discovery of them often evokes thoughts of childhood long years past. What are your memories of seeing Prairie Crocuses, Pasque Flowers, for the first time in spring? You’ll find more Fun Facts about Prairie Crocuses Here: I Didn’t Know That!! Purchase photographs of Pasque Flowers here: These Flowers Are Striking in Spring! Spring is a great time to explore the badlands and grasslands of North Dakota. We discovered new territory when we hiked Boicourt Trail in Theodore Roosevelt National Park, and beyond. Check out that adventure here: You’ll Be Enthralled By The Beauty Here! The Bison in Theodore Roosevelt National Park are so comical sometimes! Click here to see some of their funny antics: We Couldn’t Stop Laughing When We Saw What These Bison Were Doing! In spring there’s another tradition which marks the beginning of warm weather. Go here: They Catch These Huge Monsters, and Eat Them! Subscribe to our blog and newsletter to join in on our explorations. Join us on Facebook, get in on the discussion! 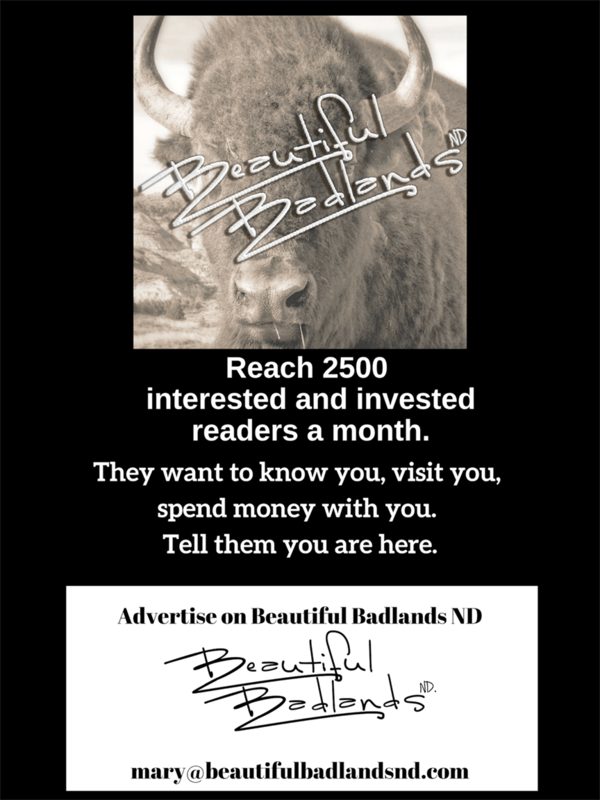 Let’s Get Together in the Badlands!